Welcome to St Peter’s Eco Page. 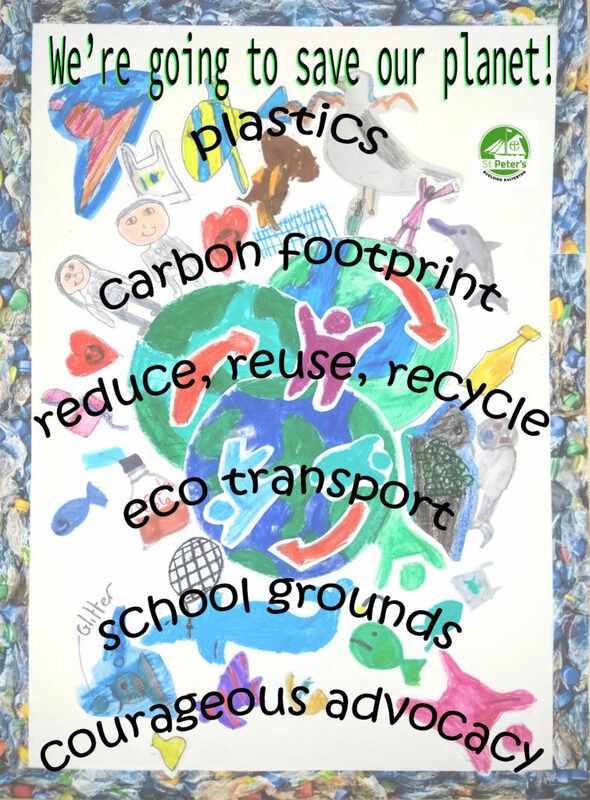 Here you can find out about our eco journey so far, as well as, information and ideas for how you can make more eco choices. At St. Peter’s we recognise that for the future of our children we must live more sustainably. We are committed to working to minimise the environmental impact of our school. We are working hard to reduce our waste. Our curriculum is being developed to ensure that children leave us with a good knowledge of environmental issues. A range of speakers are invited to our assemblies to inspire staff and children. We also aim to motivate change ourselves both within our community and politically. Children are encouraged to be ‘courageous advocates’ for our planet by writing letters calling for change and sharing their knowledge.